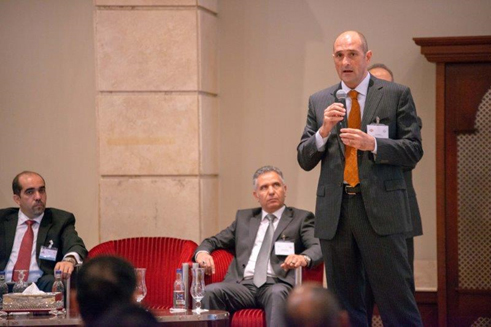 Leading members of Libya’s oil and gas industry came together on November 6 as Camco Oilfield Services held their first technology day in Libya in 2018. Hosted at the Corinthia Hotel in Tripoli, the event was well-attended by 95 representatives from Libya’s National Oil Company and senior figures from the country’s oil and gas industry. After an overview of Camco’s long history and extensive track-record in Libya, a number of presentations were given, including insights into the wireline, both open hole and cased hole, perforating, slickline and well-testing services offered by Camco in the region. Further presentations on well integrity and reservoir monitoring were given by Camco’s partner, TGT Oilfield Services, who offer leading reservoir diagnostic technologies. The day concluded with a presentation on the way forward for the oil and gas industry in Libya.